Our high-performance angle gearboxes are ideal for all types of angular drives. They are used in mechanical engineering, handling technology and various process applications, and are characterized by their high quality, long service life and minimal maintenance requirements. Our portfolio of high-performance angle gearboxes covers five different sizes. The names for the different sizes correspond to the center distance (in mm) between the input and output shafts: 030, 045, 060, 090, and 120. An extremely broad choice of gear ratios – thirteen in total, ranging from 2 to 60 – enables you to cover the most common areas of application. 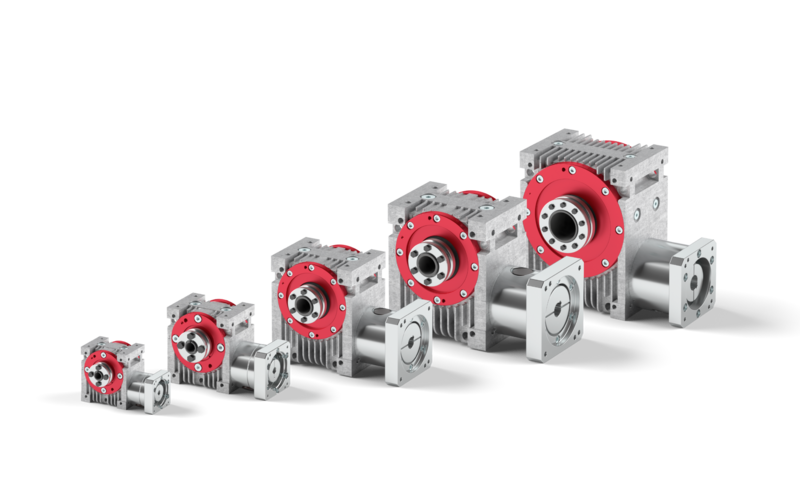 Our high-performance angle gearboxes are ideally suited for harsh working environments. They are dirt-resistant and can also cope with applications that use very long strokes. Their cooling fins guarantee optimal heat dissipation.